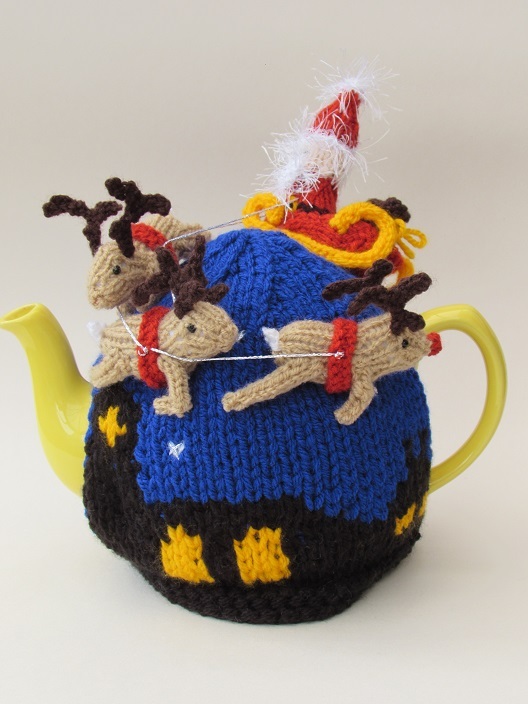 On the run up to Christmas, knitters love to knit little Christmas presents to give as gifts; and we are always on the look out for new Christmassy knitting patterns. 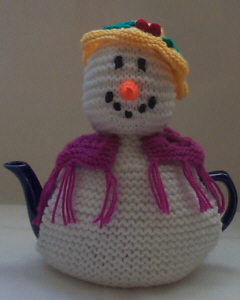 But I like to give knitted Christmas presents that are both fun to look at and enjoy, as well as being practical, I don't what the recipient to not have a use for my gift. 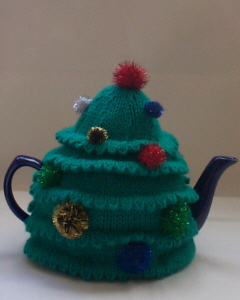 Christmas tea cosies are the perfect solution. 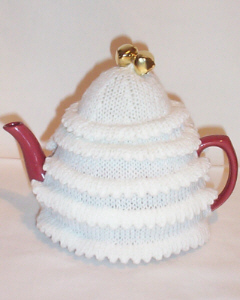 A Christmas tea cosy is an enjoyable piece of kitchenware that can be used year after year. 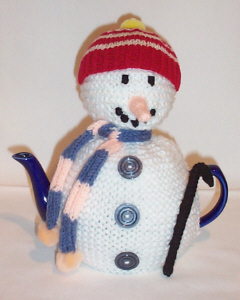 Some Christmas tea cosy knitting patterns are fun like the Santa Claus and Snowman tea cosy knitting patterns, and some are more tasteful, such as the snowy white Christmas tree tea cosy knitting pattern. 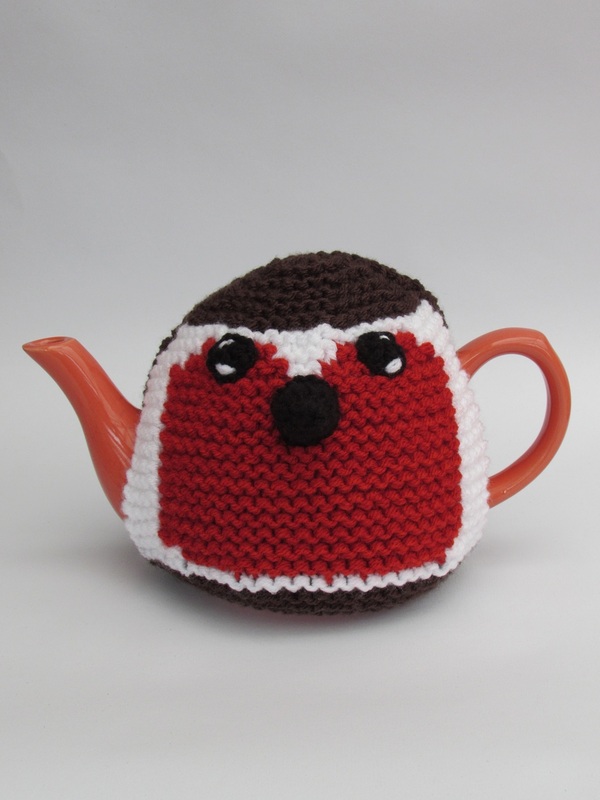 It's great to have a selection of patterns so that you can knit an appropriate tea cosy to suit the character of the person that you plan to give it to. 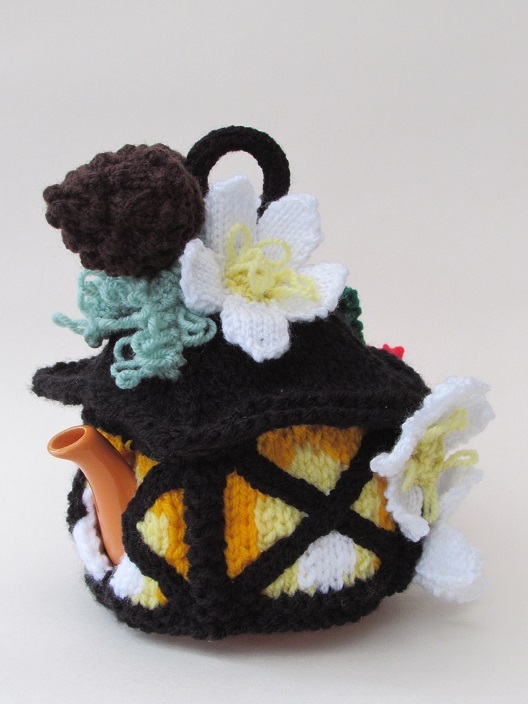 Of course, with knitting, it's not just the pattern and the recipient of the tea cosy to bear in mind. 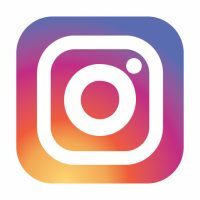 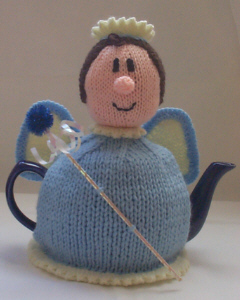 The knitter also wants to enjoy the experience of knitting. 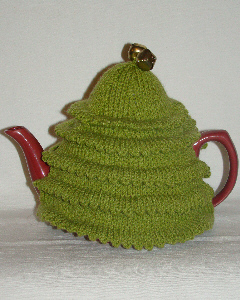 Some patterns are enjoyable because they have intricate patterns, this is not usually the case on something as humble as the tea cosy, although some tea cosies are fun to knit because they are appealing because of the detail, or because they are characters that come alive as you knit them, making them very satisfying to create. 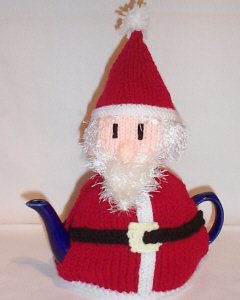 Some Christmas knitting patterns for gloves and scarves and other traditional Christmas knits can be quite time consuming to knit and if you have a lot of presents to make a quick knit is probably better. 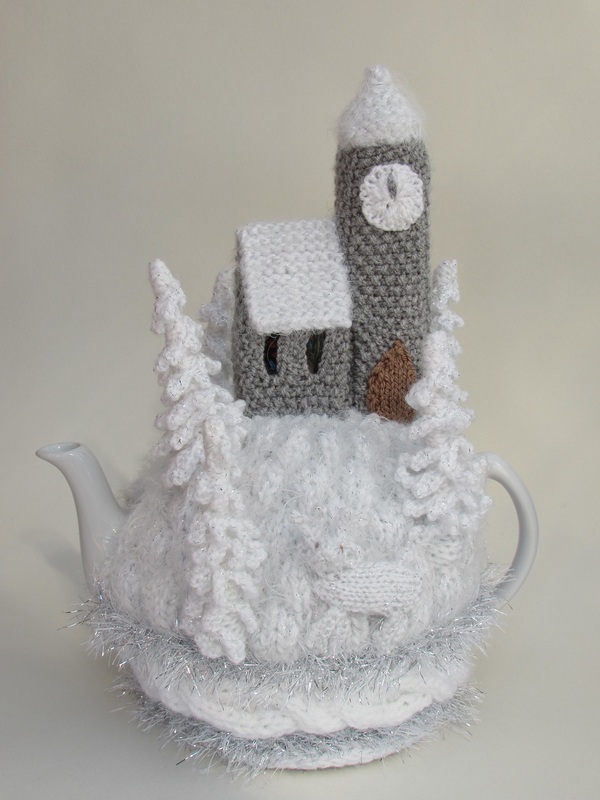 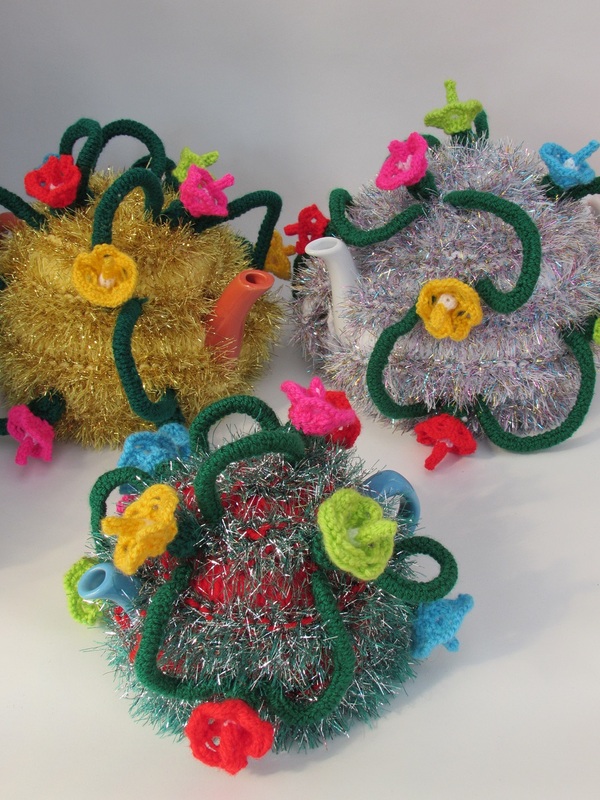 Tea cosies, being only small don't take very long to knit, so you can very quickly knit up your stocking fillers. 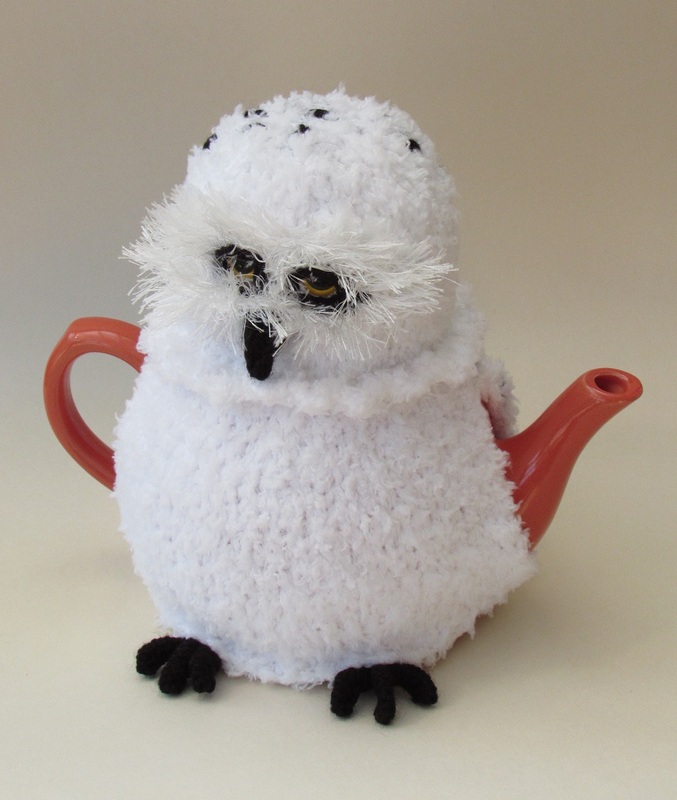 They also don't take up too much wool, so aren't very expensive to make but look a million dollars. 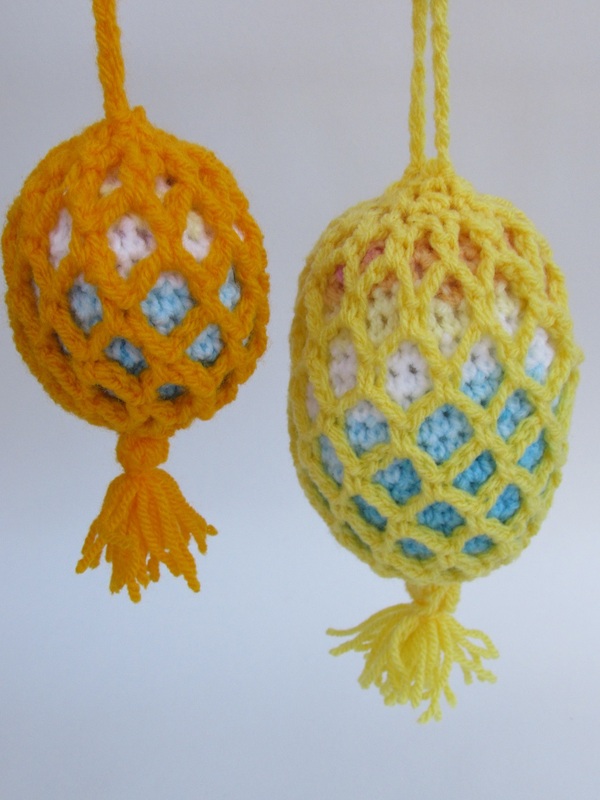 You can even use up any left over wool on Christmas egg cosies. 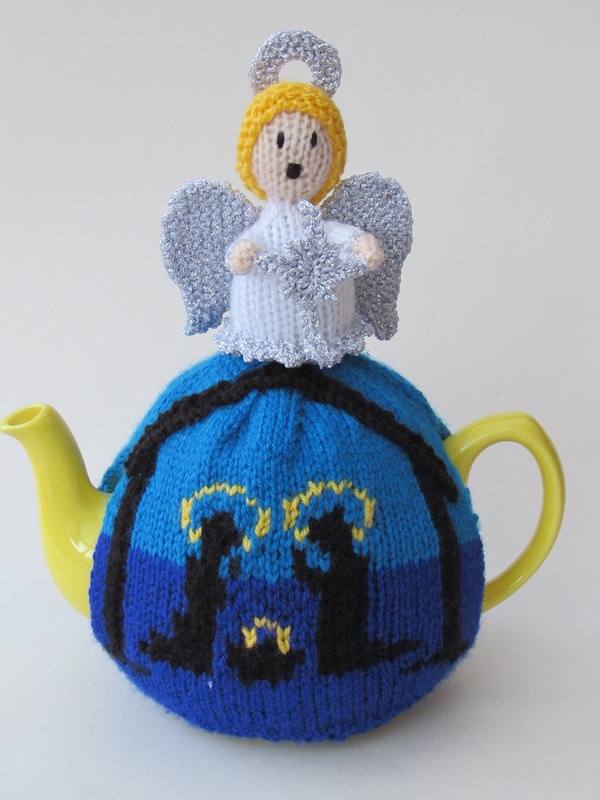 I find that knitting gifts such as Christmas tea cosies on the run up to Christmas puts me in the Christmas Spirit and makes me feel Christmassy, and it's important to enjoy knitting and crafting because your enjoyment shows through on the finished product and brings a smile to your face.